Ai was privileged to do a week long training in Lasso, Ecuador. Mike trained about 20 Pastors and Church Planters in NT Survey. It was a great time being with those pastors and their wives and of course seeing our very good friends Steve and Sandi Youngren! 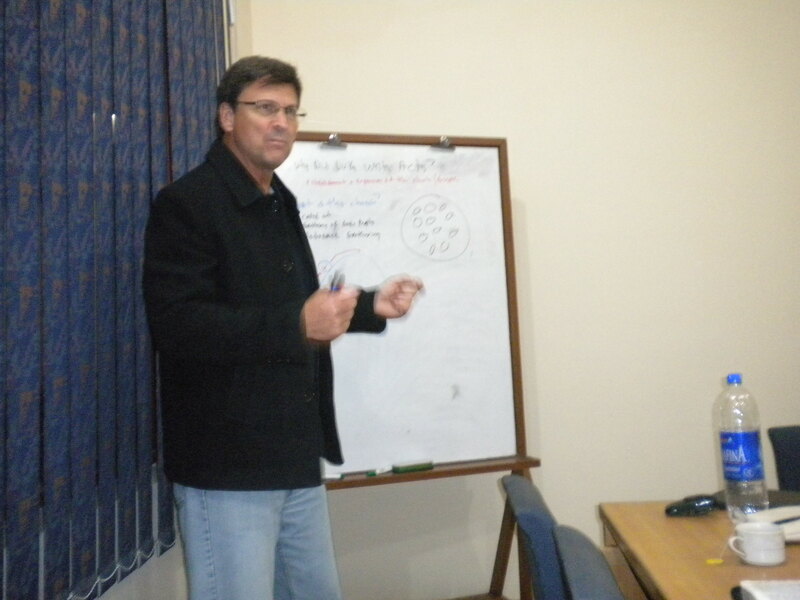 * It was a great topic and covenants was done for the first time in our training programs. Since these covenants were not in syllabus for our students, they said it was a blessing to know them. * Both Pastors and students were exposed for the first time and said, it was wonderful to learn. The students at least a few had exposed to this when I went through the covenants in the Church a few years back. Thus It was the first time this topic was taught and they have learned about various covenants beginning with Adamic covenant. Lot of people have taken notes on it (Similarly, all three topics that taught were new to our Pastors) and it was good you have portrayed through diagrams. * I put on the news letters from I Peter that you spoke on, since you preached on Sunday and was a very good sermon. It was touchy as the Church in India has been experiencing tough times and the Church has many questions regarding suffering. It was a timely sermon for all of us. * This review is from different people, students and finally concluded with Pastor Joseph and Eluzai. Pastor Joseph said, it was one of the best conferences over the past few years. By the way, Joseph also said, he spoke in his Church on the following Friday (after conf), on Adamic covenant and how it relates it to them. We thank you for your Visit to us. We greatly Benefited from your Teaching especially on the Covenants. And all our Students enjoyed your answers for their Questions and would love to have you back. And you both were a blessing for my Family and for my Parents Family also. And we always love to have you with our Ministry and we will remember you Both in our Prayers as we request yours for us. 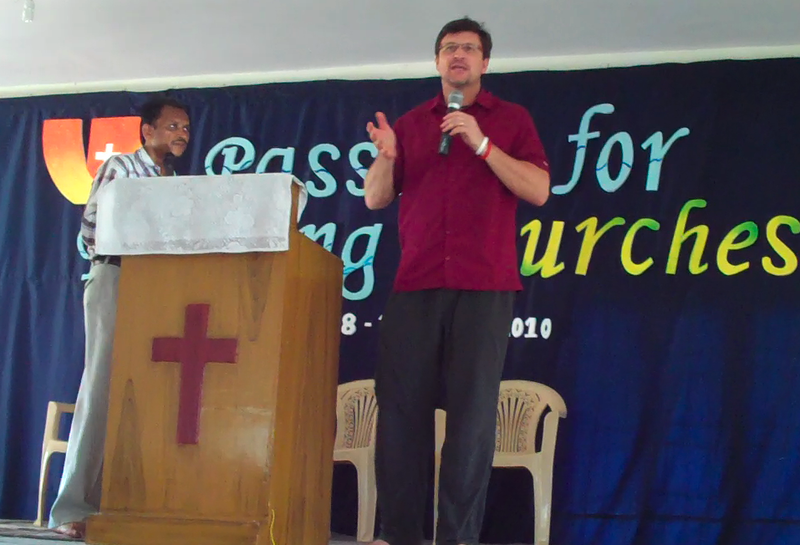 Ai was in Visakhapatnam India for a week of training pastors, and it went very well! Our good friend Arjuna Chiguluri (Vision Nationals) has planted over 500 churches and it is always an honor to train with his men! We also taught a Perspectives course at one of our supporting churches (Oceanside Christian Fellowship, El Segundo CA.). It's a great class and it's alway great to be @ OCF and see what the Lord is doing there! Ai was busy in January, teaching at the Lens Institute in Los Angeles, a Pastor's Conference in Istanbul, Turkey, and a Pastor's Training in Quito, Ecuador! Ai is in Kadıköy Turkey, which is ancient Chalcedon and the place for a very important early church conference in 451 A.D. Great to be here! Ai will take part of a very important church planting conference in the Middle East January 17th-22nd of January, and then doing a training conference in Quito Ecuador from the 25th of January to the 31st. Really looking forward to both of these trips and seeing our brothers and sisters who labor well in these 2 great areas. India and Australia Went Well! Both trips went very well! We partnered with Acts 29 and many other networks and church planters. There were 2 official conferences in Newcastle and Melbourne, Australia, and then we ha d another conference in Hyderabad, India. 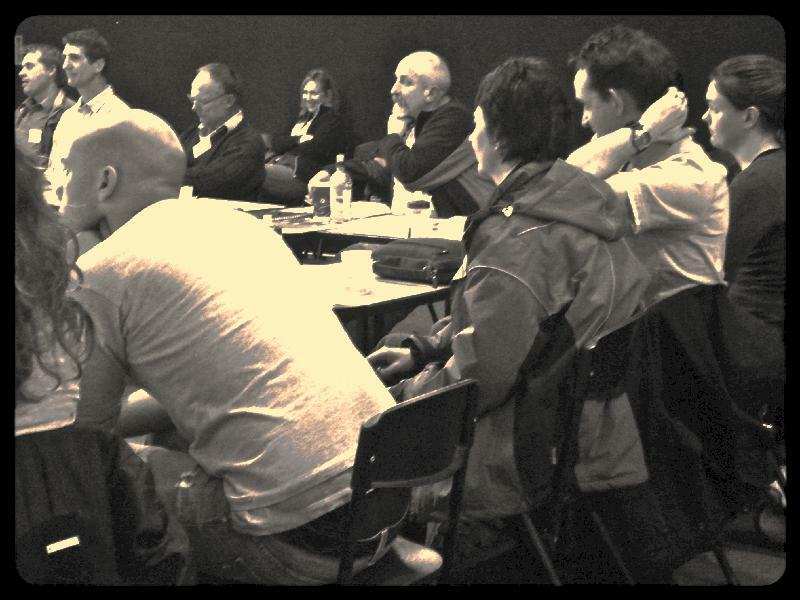 We also helped with a leadership retreat in Warragul, Oz. Both conferences allowed for some great time hanging with and mutually learning from one another. This is by far the greatest thing that these type of trips create; a symbiotic union and the meeting of the minds to help promulgate the gospel to "All Nations," and not just our own contexts. Ai will be traveling to Australia in November for 2 weeks of training and conferences. Really looking forward to meeting up with church planters down under, should be a great trip! This topic is one of those closed subjects in the United States. It brings up horrible pasts and heated arguments that both sides think they are on the justice side of things. The Pro Choice camp is often maligned by the Pro Life camp as those that sanction murder, while the Pro Choice camp maligns those in the Pro Life camp as haters of women. How are we as believers to respond, and what should we do? The attached video (https://www.youtube.com/watch?v=qhKG5O73c30) is a great place to start. Many of our women who sit in our chairs every week in our Sunday gatherings have had abortions and feel horrible about it. One of the best things we can do for anyone who has gone through an abortion is give them Jesus first. And if they know Jesus, remind them that all of our sins are nailed to His cross so that we could be free from the guilt and shame that our sin causes. He took that shame upon Himself for our own good (See 2 Corinthians 5:21)! So, prayerfully we are grace people that doesn't condemn others as we seek after the truth. What is the truth? It seems plain to me, that taking innocent lives is the same as the sin of murder, and there are no more innocent and vulnerable than a baby in the womb. And anyone who has had an abortion are in good biblical company. Men like Moses and David were also murderers saved by the grace of God. And the only reason we can be grace people, is because of the grace and mercy that God has shown us in Jesus. This video demonstrates Lecrae's repentance and brokenness and recognition of the cross as his only hope, releasing him of the guilt and shame his sin had caused him. We can also acknowledge that most people that hold the Pro Choice worldview are doing so because they think it is the just thing to do. A women's life and a women's choice are important to them, and it ought to be important to us as Christian's too. Don't trample on their desire for justice, but lead them to the one who exacts perfect justice on all of us; a justice that was realized in God's court of law and executed on a tree 2000 years ago. We all deserve God's wrath and righteous justice, but He chose to place it on His Son on our behalf. So let's live out the truth of the cross, calling abortion what it is, sin, and then calling all sinners (Including ourselves) to the only one who can wipe their sin, shame and guilt away! Stopping abortions starts with the gospel. Get involved at that level. Help women who are contemplating abortion find Jesus. Calling them murderers isn't very compassionate because abortion creates 2 victims, not just one. And if you can, be ready to help those women find great homes for their babies; maybe that home could be yours. So let's be on the forefront of truth, with a love and compassion for those that are hurting in our world. Here is our training schedule through March 2016. We are looking forward to seeing our brothers and sisters in these places, and to see what God continues to do in His kingdom through His people! We will also be traveling to Turkey, Jordan and possibly Pakistan and the DR Congo in 2016. Schedules TBD. Once again the Antioch initiative was able to partner with Acts 29, and old friends Dave Fandey and James Harleman to do a day of coaching the Aussie planters and speak at a conference for pastors and church planters in Sydney. It was a great time hanging with great people! Acts 29 is hosting a conference in Sydney Australia August 31st. You can register @ http://a29au.eventbrite.com.au/?ref=elink. It should be a great time with old friends James Harleman and David Fandey, as well as new friends from down under. Ai will be traveling to Ecuador to do a conference April 8-16th! Really looking forward to seeing good friends and helping expand the gospel in that great country. Ai was in Visakhapatnam, India last week training at the Master's College. There were about 150 students of the college and Church Planters attending. We are now talking about putting together a training curriculum that can give scope and vision to the ongoing training. It's great to be a part of training with men like this! In of themselves, these verses from Matthew do not appear to be a leadership rubric, but they simply remind us of a few important characteristics of a spiritual leader. This is obviously a no brainer, but I think a lot of people forget the next three little nuances (Heart, Soul, Mind). Loving God is more than a feeling (Sorry Boston fans). It is also more than an academic exercise. The heart, mind and soul addition reminds us that our love for god includes all of our being, including the cognitive, affective and volitional. Does your leadership include thoughtful and depp reflection on God's word? Are you being diligent in your study, or are you cheating your people for the sake of a hyper-pious, the &quot;Spirit will lead me&quot; attitude? I pray we build many churches with leadership that loves God with all of its being, well fed in the word, and taught to love others with the love of God, living as grace givers to a broken world! We went to Sydney Australia to participate in the Acts 29 Regional training in December, and then went down to preach and train in Mossdale and Warragul. We had a fantastic time with like minded men and women. It was a blessing! We are also training our team here in Central Asia, and have trips planned for India, Pakistan and Ecuador in the coming months. Please pray for these opportunities and our training here in Central Asia!